A changed clause in Apple's iOS 4.0 SDK agreement has left some developers fuming, with fears that it effectively outlaws Adobe's forthcoming Flash to iPhone compiler. Developers use programs like the Flash to iPhone compiler to save time, but a wording change could potentially see the practice penalised by Apple. This would mean that developers cannot get their apps through the Apple vetting and onto the Apple App Store. A post by Daring Fireball's John Gruber explains the problem, stating: "My reading of this new language is that cross-compilers, such as the Flash-to-iPhone compiler in Adobe's upcoming Flash Professional CS5 release, are prohibited. "…the language in the agreement doesn't leave much wiggle room for Flash CS5. 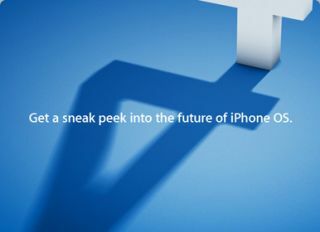 It could hardly be more clear if they singled out Flash CS5 by name." Of course, the might of the Apple App Store means that developer disquiet will make very little difference, but it does serve as a reminder that Apple's walled garden is not crumbling.